Today’s world is confused about the very basics: the value of human life, the meaning and purpose of sexuality, why beauty matters, and what exactly constitutes as true freedom. In this episode, I’m talking with Mary Sheehan Warren, who teaches consumer behavior and fashion marketing at the Catholic University of America. She’s also the leader of the Fashion Intelligence Project, an organization dedicated to human dignity and sustainable fashion consumption. We talk about what’s changed in recent years when it comes to our culture and the way we communicate as women, defining our personal style, and why human dignity should be valued at all costs. This episode was brought to you by Sudio headphones. Use to code letters15 to receive 15% of your purchase of your next set of headphones, and enjoy Sudio’s free world-wide shipping. Are you subscribed to Letters to Women? If not, you should subscribe today! You don’t want to miss any of the upcoming episodes. Click here to subscribe in iTunes. If you have a spare minute, I’d love for you to leave a review over in iTunes, too. Reviews help other people find the podcast (and reviews are so much fun to go through and read!). 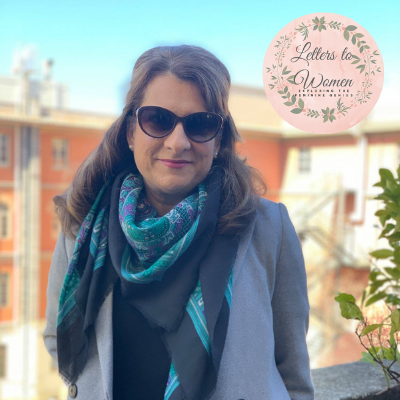 Just click here to review, select “Ratings and Reviews” and then “Write a Review” to let me know what you love about Letters to Women. Thank you in advance! Facebook, Twitter, Pinterest, Instagram, YouTube, iTunes, the list goes on and on. When it comes to navigating today’s world of social media as Catholic women, we almost need a field guide. How do we avoid getting sucked into the time warp that is Instagram scrolling? When do we need to step away and when do we need to step up and speak up? Today, I’m talking with two Catholic social media influencers, Sarah and Amy. They’re two women who create Catholic content online, and they share their stories, tips, and tricks for interacting with social media. We talk about building up others, listening to the promptings and inspirations of the Holy Spirit, and honing in on your passions while remaining authentic. This episode was brought to you by Stay Close to Christ, a Catholic gift company! Use the code LETTERS for 10% off your next order. Thank you so much for listening to the show, Avery! Leah Darrow appeared on America’s Next Top Model and was in a successful modeling career. But she discovered how a focus on physical beauty alone lead to a culture of use. Today, Leah and I talk about how true and lasting beauty can only be found in a relationship with God. The desire that we have for beauty isn’t a bad thing – but it does reveal that we actually are desiring true beauty, the beauty of God. I hope you enjoy the show! This episode was brought to you by Sock Religious. Dr. Douglas Bushman at the Augustine Institute . If you enjoyed this episode, please share it with a friend. Until next time, be not afraid! Swipe left, swipe right. Online dating is growing more popular by the day, but is it for you? I loved visiting with Christina Peterson in today’s show. 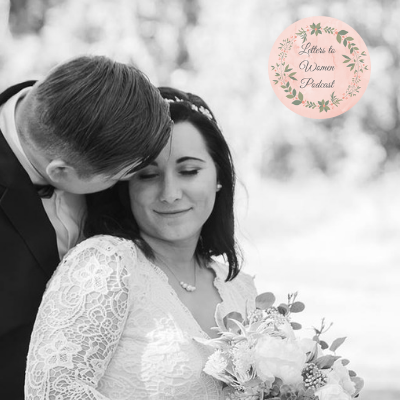 She met her husband, Greg, online and shared their story along with her favorite tips and hints when it comes to filling out your online dating profile. This podcast episode is packed with practical information and real life online dating success stories - enjoy! This episode was also brought to you by Sock Religious. - “These Long-Distance Relationship Problems Don’t Always Matter as Much as You Think,” an article I wrote for Verily Magazine a while back talks about some of the challenges in long distance dating that Mindy and I chatted about on this episode. - If you’re in a long distance relationship, here are seven things to make your relationship stronger than ever. - Before you say ‘yes’ to a long distance relationship, ask yourself these four questions.